Gaming headsets are a great accessory for your gaming computer. They are perfect for the times you want to enjoy your favorite games without having to disturb others with your sound. Gaming headsets have added several nice features over the years and this article will help explain what they all mean. The most important feature of a gaming headset is the sound quality. Many of the latest headsets offer complete customization of the sound including the treble, bass, and surround sound effects. Feel free to adjust these settings to your heart’s content and find the sound that’s perfect for you. Another important feature of a gaming headset is a microphone. Microphones are ideal for using voice communication programs, such as Teamspeak. Most of the newer headsets allow you to slide the microphone down near your mouth when you need it and slide it back up and out of the way when you don’t. The voice capture technology with microphones has also improved greatly. No longer will you torture your friends with the thunderous sound of you breathing into the microphone, the latest gaming headsets feature truly outstanding noise canceling technology. Gaming headsets that incorporate wireless technology are highly recommended by us here at building-a-gaming-computer.com. They can help alleviate the clutter of cables and the wireless signal will last for several hours before it needs to be recharged. The wireless signal also has a pretty good range too, enabling you to use the headset without having to be right next to the computer. With the above features taken into account, the following are headsets we highly recommend. 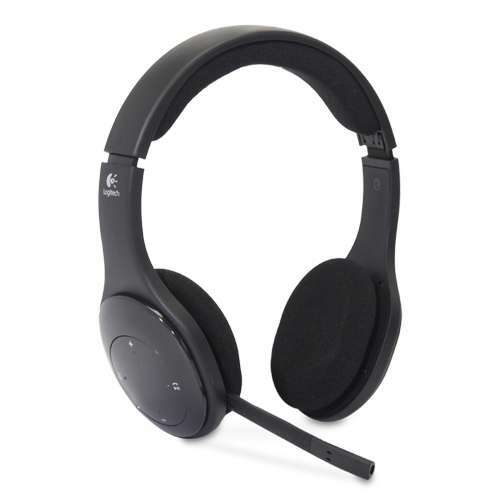 The Logitech 981-000337 H800 Wireless Headset (shown above) is a great headset for a gaming computer. Featuring wireless technology, on the ear volume control and a microphone that delivers crystal clear sound, you’ll wonder how you ever managed without them. 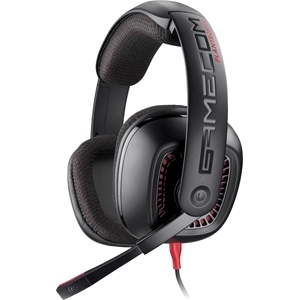 The price is also very reasonable and this headset can be used for more than just gaming. Imagine listening to your favorite tunes, movies, or talking with friends over Skype with this awesome headset package. The Logitech H800 really delivers the good when it comes to a gaming headset. Our next recommendation is the Altec Lansing GameCom 377 Open Ear Gaming Headset. Although it does not feature wireless technology, it provides extreme comfort and sound clarity in a very nice $30 price. Most importantly, the headset is made from very durable material. If longevity is of concern to you, the GameCom 377 can’t be beat. To round out the package, the headset has a foldaway microphone with noise canceling technology, perfect for communicating with friends as you play your favorite game. Gaming headsets are a great addition to a gaming computer build. They are the ideal solution for gamers who are concerned with disturbing their neighbors with excessive noise. With built in microphones featuring noise canceling technology, headsets are great for communicating with friends as you game.